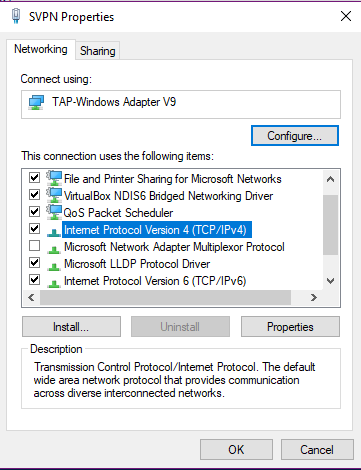 If you’re using our TG Client client on Windows 10 and you use the block-outside-DNS option to prevent DNS leaks then you may experience some connection delays depending on your setup. Once you’ve done this click on ok, disconnect from your TG Client and reconnect to it and your block-outside-DNS problem should be fixed. 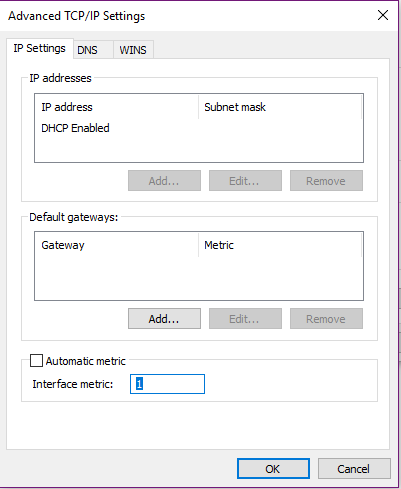 The lower the Interface metric number the higher its network adapter’s priority.